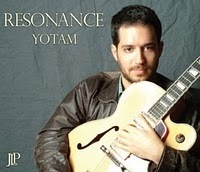 Tel Aviv-born, New York-based guitarist Yotam Silberstein is out with his third disc as a leader. 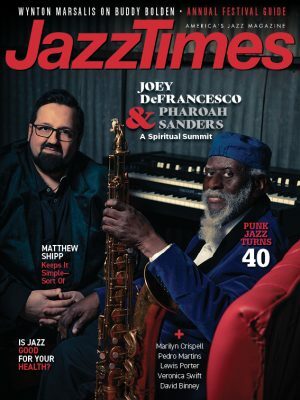 It’s a gem, and he’s got some terrific players along for the ride, including pianist Aaron Goldberg, bassist Christian McBride, drummer Greg Hutchinson and, as special guest on two tracks, trumpeter Roy Hargrove. Hargrove is featured on versions of Clifford Brown’s “Daahoud” and Joe Henderson’s “Mamacita.” Every track is wonderful in its own way, featuring Yotam and Co.’s splendid improvisations and the leader’s warm, distinctive tone. My favorite: their take on the reggae-based Monty Alexander tune “Renewal.” But there is much, much more to savor on the other 10 tracks as well. Connecticut native Dana Lauren is a singer on the rise. At age 21, this Berklee College of Music student is out with her second CD – and it shows that she has a vocal maturity and understanding of songs far beyond her years. She’s got great intuitive chops and presents a wonderful interpretation of jazz standards on this project. Her band for the session features Joel Frahm on tenor, Manuel Valera on piano, Luques Curtis on bass, Jake Goldbas on drums, with guitarist Will Graefe on five tracks. There is one very different gem here: Lauren plus Christian McBride on a voice and bass duo version of “On the Sunny Side of the Street.” Lauren’s dusky voice also shines on her arrangement of “Give Me the Simple Life.” Frahm, Graefe and Valera stand out among the support team. McBride is one of her musical mentors. Another is trumpeter Arturo Sandoval, who produced her 2008 debut, Stairway to the Stars. Keep your eyes – and ears – on this wonderful talent. Saxophonist Odean Pope is out with a dandy, and perhaps his most powerful recording – as a leader. This longtime member of drummer Max Roach’s bands assembled an all-star octet for this session. It consists of eight originals plus Eddie Green’s “Little Miss Lady” and the Jimmy McHugh-Frank Loesser standard “Say It (Over and Over Again. )” The band includes saxophonists James Carter and Walter Blanding, trumpeters Terell Stafford and David Weiss, drummer Jeff “Tain” Watts, bassist Lee Smith and pianist George Burton. My favorite: their take on Pope’s “Phrygian Love Theme,” which gets a Spanish-tinged treatment that features Carter and Stafford. To my ears, this one is highly creative, perhaps more as a showcase for Pope as bandleader rather than his playing. Carter, Blanding, Stafford and Weiss provide the most interest. To read more of Ken Franckling’s blogs, you can also go to his blog site.